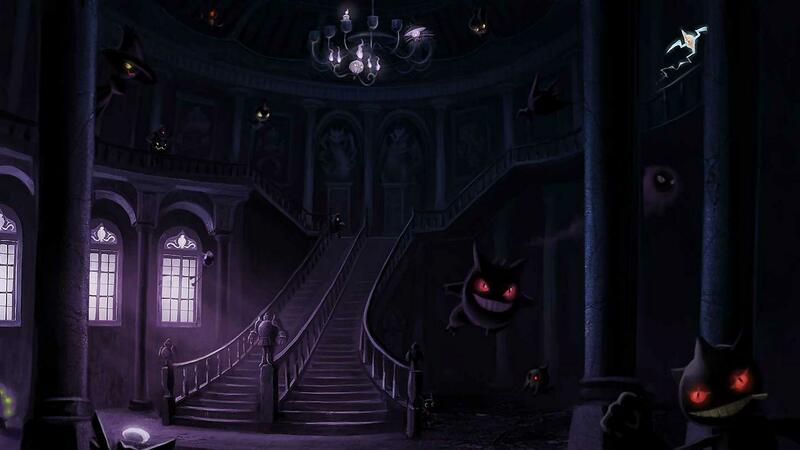 A colossal collection of Pokemon Wallpaper for your desktop, mobile or tablets. Browse our huge galleries below, and when you find one you want just click the download button to get the original full size image. The vast majority of these wallpapers are in 1080P but there may be a few older ones that aren't. Still it would be wrong to leave out the classic stuff from Pokémon's beginnings just over the small matter of resolution! Enjoy. A wallpaper featuring Gen 1 starter Pokémon and their evolved forms. A wallpaper featuring Ash, Gary, Pikachu and Charizard. A wallpaper of Dragonite from Pokémon the First Movie. Grass types wallpaper featuring Venusaur, Victreebell and Tangela. Greetings from Pallet Town Wallpaper. A really nice Pikachu Wallpaper. Vaporeon firing a bubble beam. Blue Wallpaper. Pixellated Zapdos Wallpaper. Team Instinct would be proud. Pikachu Surfing Wallpaper Gen 1 starter Pokemon: Bulbasaur, Charmander, Squirtle Wallpaper Gen 1 starter Pokemon playing on a Game Boy Sloooowwwww..... A pink Slowpoke Wallpaper A wallpaper featuring Gen 1 starter Pokémon and their evolved forms. Gen 1 starter Pokémon plus Pikachu (who was also a starter in Yellow) A wallpaper featuring Ash, Gary, Pikachu and Charizard. A purple wallpaper of retro Mewtwo Realistic PokeDex and gym badges wallpaper Arcanine with a pair of Growlithes in the wild A wallpaper of Dragonite from Pokémon the First Movie. A pixellated wallpaper of Feraligatr Flareon and Pidgeot on a dark background Wallpaper featuring art of Gen 1 Starter Pokemon Grass types wallpaper featuring Venusaur, Victreebell and Tangela. Greetings from Pallet Town Wallpaper. Kyogre and Groudon art wallpaper I started with Squirtle Wallpaper Mudkip Wallpaper Pixelly Mudkip Wallpaper Classic Yellow Pikachu Wallpaper A really nice Pikachu Wallpaper. Pokemon Silver Version Wallpaper Pokemon Type Icon Wallpaper Pokemon XD: Gale of Darkness Wallpaper Raichu takes centre stage on a background of Pika Realistic Pokéball wallpaper Eevee Evolution tree, scientific wallpaper Squirtle kicking back in his natural habitat wallpaper The biology of gen 1 starter Pokémon wallpaper Torkoal, Turtle and Turtwig Wallpaper Silhouette of Pokemon Trainer (looks like Ash) holding a Pokeball. Red/Black Wallpaper Vaporeon firing a bubble beam. Blue Wallpaper. Fire, Grass and Water types Pokemon Wallpaper Pixellated Zapdos Wallpaper. Team Instinct would be proud.